Have you been poring over the weather forecast every day, waiting for that first, miraculous Saturday above 70 degrees? Or throwing longing glances at the grill every time you walk past it waiting patiently in the garage? Those last few weeks of chilly weather are the hardest weeks of all for the barbecue lovers just itching to take their cooking outside. Well, all the meatballs in the world can’t make the thermostat change any faster, but they can ease the pain of waiting with a taste of smoky-sweet BBQ flavor, no grill required. Perk up the meatballs themselves with some chili powder and crunchy green onions, and then smother them in your favorite flavor of barbecue sauce: both the honey and the hot sauce are optional, so you can make it spicy, sweet, or both. The almond flour in the meatballs is also listed as optional: this makes them stick together better, but you can leave it out if you’re not particular about each meatball having a perfect shape; the egg is enough to keep them together without it. Then serve your meatballs on top of spaghetti, and pour some extra barbecue sauce on top – it’s a little bit of high summer to tide you over until the sun comes out for good. In a bowl, combine the ground beef, onions, egg, almond flour, chili powder, and season with salt and pepper to taste. Stir until everything is well-mixed. Roll the beef mixture into bite-size balls and set aside. 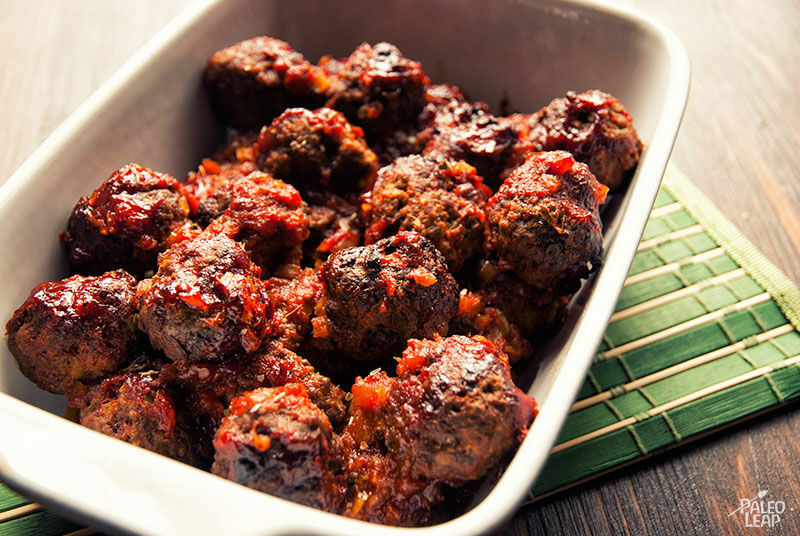 Heat some coconut oil in a skillet placed over a medium heat and brown the meatballs for 4 to 5 minutes on each side; then place them in a baking dish. Combine all the ingredients for the BBQ sauce in a bowl, season to taste, and stir until combined. 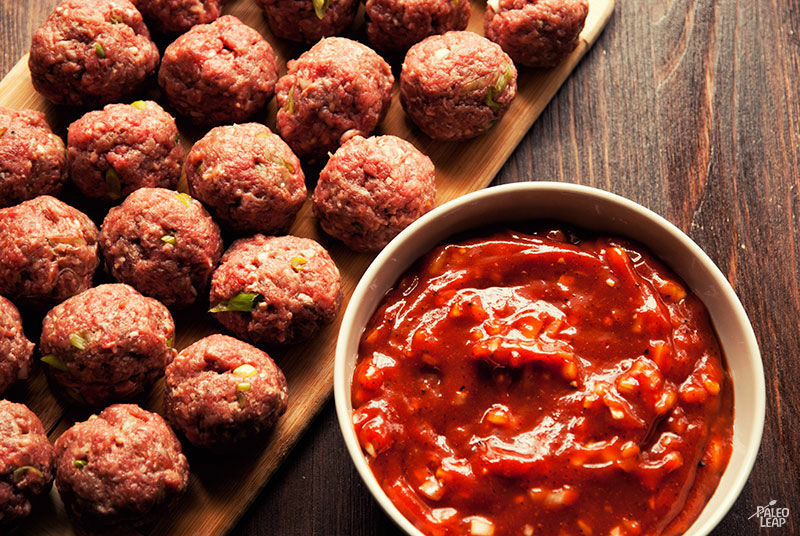 Pour the sauce over the meatballs and bake in the oven for 40 to 45 minutes.